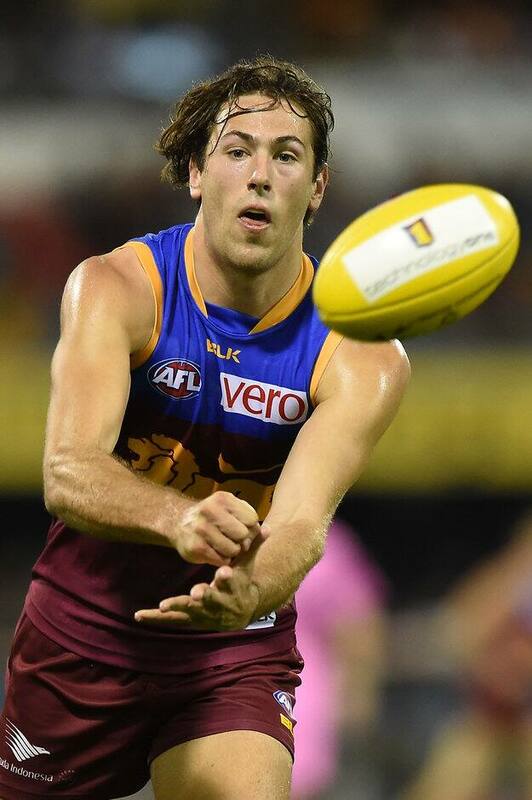 THE BRISBANE Lions' battle against the 'go-home factor' has received a boost with West Australian youngster Marco Paparone set to sign a contract extension. The 21-year-old is close to putting pen to paper on a two-year deal that will tie him to the club until at least the end of 2018. An elite endurance athlete, Paparone played every game last year and finished fifth in the Lions best and fairest. A linkman from the backline, he led the Lions for rebound 50s and averaged 19 disposals, with his best performance of 25 touches and 11 marks coming in a round 10 loss to Greater Western Sydney. The 194cm big man from East Fremantle has continued his renowned work ethic this pre-season and has been one of the Lions' standouts on the training track. Paparone will become the latest in a string of important signings for the Queensland club over the past two months, following in the footsteps of ruckman Stefan Martin, hard-nut Mitch Robinson and gun Irish midfielder Pearce Hanley. "Marco is going to be a terrific long-term key player for the Brisbane Lions," football manager Matthew Francis said. "He had an outstanding year for such a young player. His placing in our club's best and fairest is testament to that." Paparone has played 45 games since he was the Lions' second pick, No.23 overall, in the 2012 NAB AFL Draft.